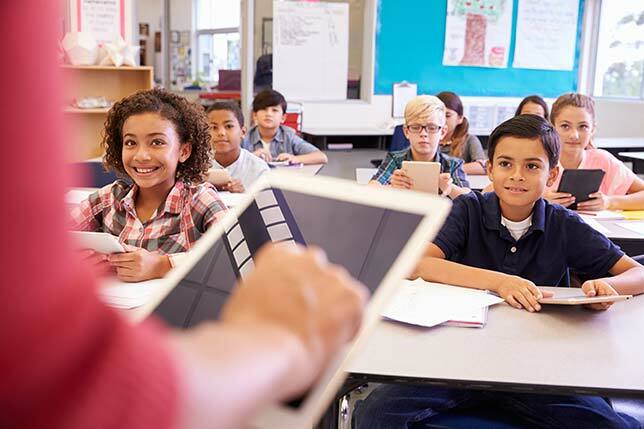 Time, planning and support from schools and districts and ongoing professional development are key to getting the most of new technologies and tools introduced to the classroom, according to a new report from the Foundation for Blended and Online Learning (FBOL). The report is based on surveys of nearly 700 educators from public schools, charter schools, private schools and alternative education programs, as well as from school and classroom observations by the authors and in-depth interviews with 11 different educators. The survey was conducted online and available to any teacher who wished to respond and is not, therefore, nationally representative. Further, FBOL publicized the survey through avenues likely to reach teachers who were more experienced with technology than their average peers. "Therefore," according to the report's authors, "the results should be interpreted as representing the views of teachers who are further along in their adoption of technology than the average teacher." Teachers who reported more experience with technology and more support from their school were more likely to report successful changes in their teaching practice. Teachers should feel comfortable adjusting blended learning concepts to suit their own strengths and situations. "Teachers are using technology to support their own instruction and to advance the achievement of their students," said John Watson, founder of Evergreen Education Group, in a prepared statement. "While their implementation can range from the very simple to the extremely complex, all involved in this transition have valuable insight into the risks and rewards to share. This report provides a view of the current shared educator experience, as well as recommendations for the next generation of teachers adopting technology into their practice." To access the full report, visit blendedandonlinelearning.org.